Wat is dit voor site? Wij zoeken de goedkoopste boeken op internet. Veni Creatorvonden we het goedkoopst op Bol.com voor €23.99. We hebben gezocht in nieuwe en tweedehands boeken. Rechtsonderaan de pagina kan je het boek direct bestellen	via Bol	.com. 1895. 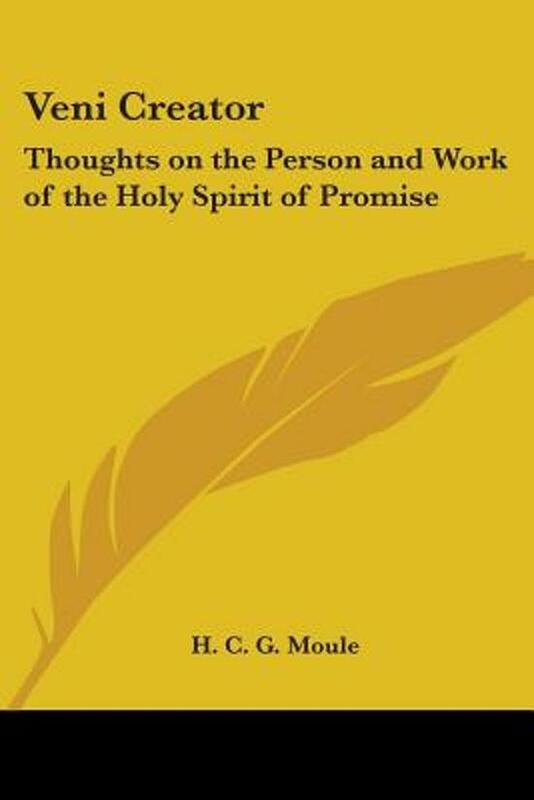 Contents: Purpose of the Book; The Dual Procession; Union with Christ by the Spirit; The Holy Spirit as the Interpreter of Scripture; The Spirit Convincing of Sin; The Spirit glorifying Christ to the Soul; The Spirit's Work as further seen in our Lord's last Discourse and Prayer; The Spirit's Work as seen in John; The Spirit in the writings of St. Paul; The Spirit in the writings of St. Paul: the Fruit of the Spirit; The Spirit in the writings of St. Paul: The Fulness of the Spirit; and The Spirit in the writings of St. Paul: Christ dwelling in the heart of faith.